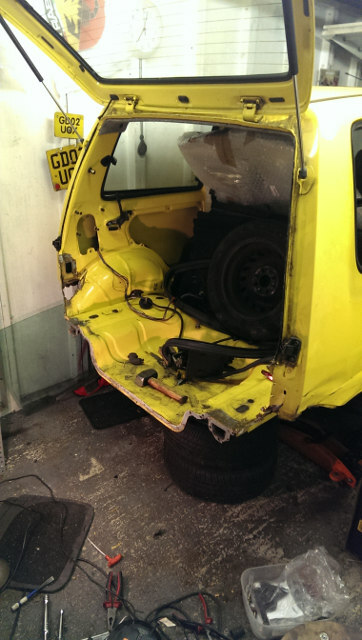 It’s been a while since I did anything substantial to the Cinquecento, mainly because life got in the way. However I have been making a concious effort to try and get things going again, having purchased a welder and all the paraphernalia to go with it I have no excuse to not crack on with it! 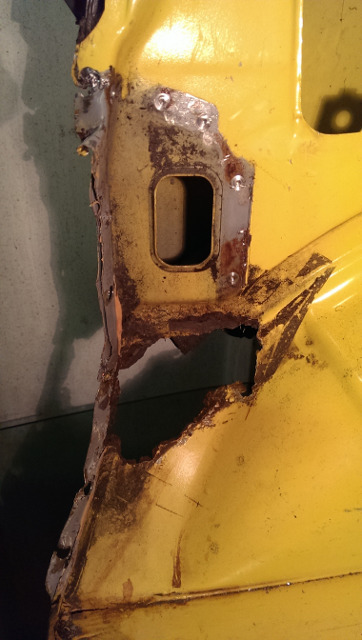 I felt the only way to properly repair the rust and holes in the rear of the car was to remove the rear panel, giving more access allowing for a neater job hopefully making the repairs invisible. Also at some point during this cars life it was repaired under warranty by Fiat for rust in the rear off side corner, they however didn’t do the best job so I will be sorting this out as well. To get the back panel out you first need to locate the many spot welds holding the panel in, these mostly run around the back edge of the panel, one on either side of the boot line (which I missed…), four on both vertical edge in the boot and two on either of the “legs” connecting the panel to the boot floor. 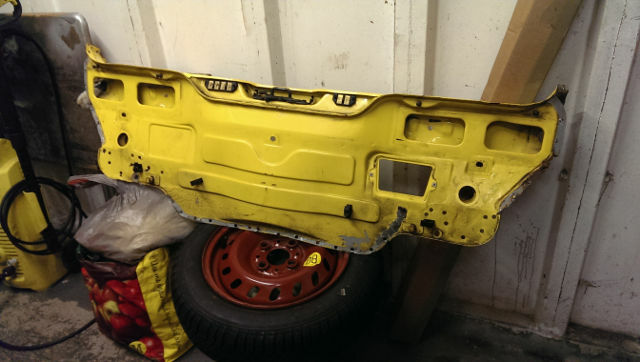 First off though you need to remove the wiring for the rear lights and the cable for the boot latch, these can all be pulled back though the inside quarter panel holes. 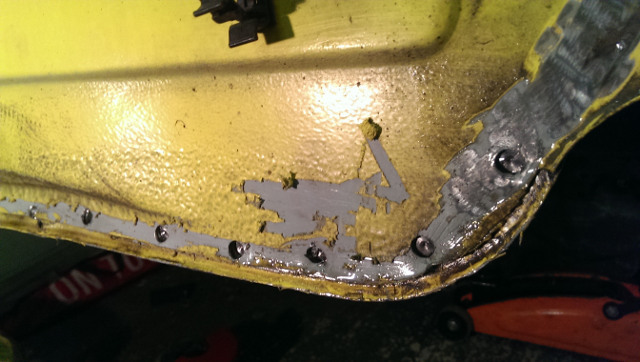 The best way to find the location of the spot weld is to run a bit of sand paper over the areas where you believe the welds to be, or where there is underseal around the bottom of the rear panel I used a screw driver to scrape it away leaving the tell tale dimple of a spot weld. 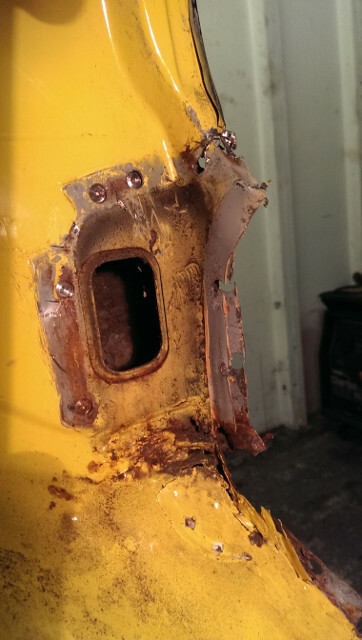 I would recommend buying a proper spot weld removal drill bit, these help to stop you drilling through both panels making it easier to refit the panel later on. 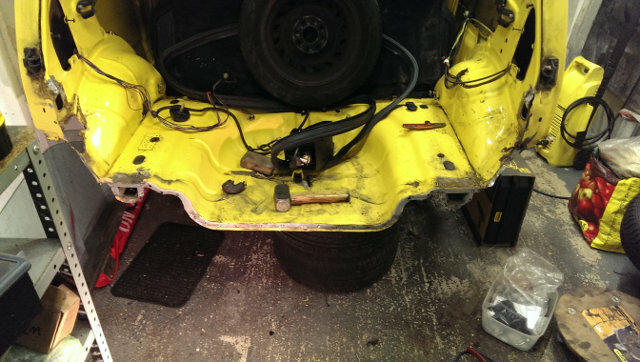 On the inside of the car, there are four five welds at either end of the panel. 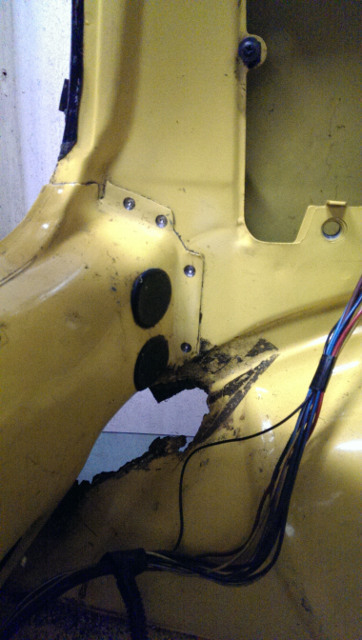 I thought there was four but when I come to remove the panel I found a fifth weld on the horizontal lip right on the edge of the boot, if you look closely you can see it in the light. 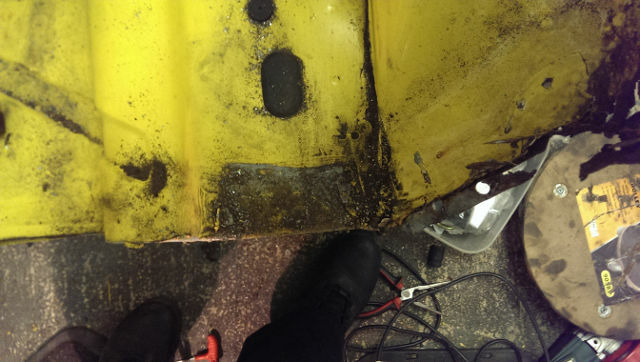 There are two more welds at either side of the rear panel connecting it to the boot floor, there isn’t enough access to drill these out, so a sharp chisel was used instead. 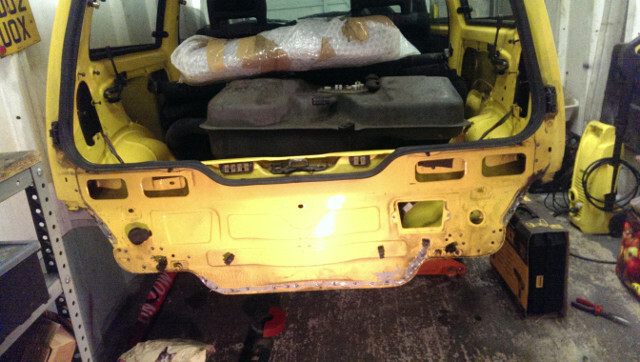 This is the section with the rear panel removed. 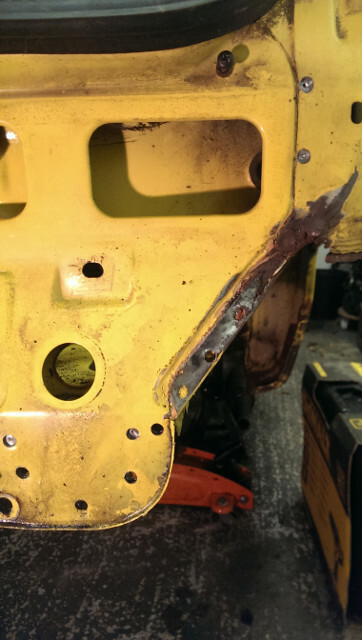 If all of the welds are free the panel can be pulled out fairly easily, the flanges where we drilled out the spot welds earlier needed bending out the way slightly, but they will go back fine and the offside flange needs repairing as half has rusted away. 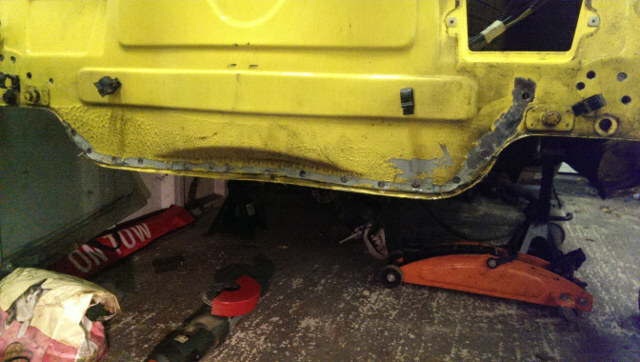 This is the side which was professionally repaired by Fiat, you can see the bottom corner is completely rotton again and would end up like the other side eventually, a big chunk of the flange further down on this side is completely gone and needs replacing (can be seen in photo four above). 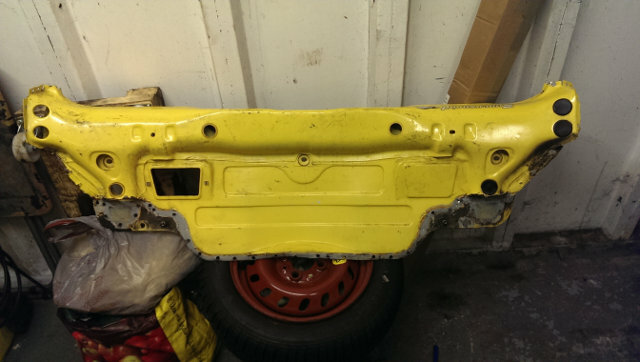 So I’m left with a completely backless Cinquecento, with more than enough access to fix the rusty holes in the boot and replace the damaged quarter panel section. If anybody wants higher resolution versions of any of the photos featured in these posts, or would like a photo from another angle just send me a message and I will get one.